I’ll let the results speak for themselves but I must thank all participants for making this such an enjoyable and friendly competitive event. Special thanks to Martin Smith, Droitwich AC, and his small band of helpers who laid out the course for us and to Tony Crocker whose friends made up the majority of marshals. Not forgetting our ever faithful officials. The sun came out to bless us and we couldn’t have organized the weather any better. If anyone who ran would like to write of their experience, I would be happy to post their article on to this page. 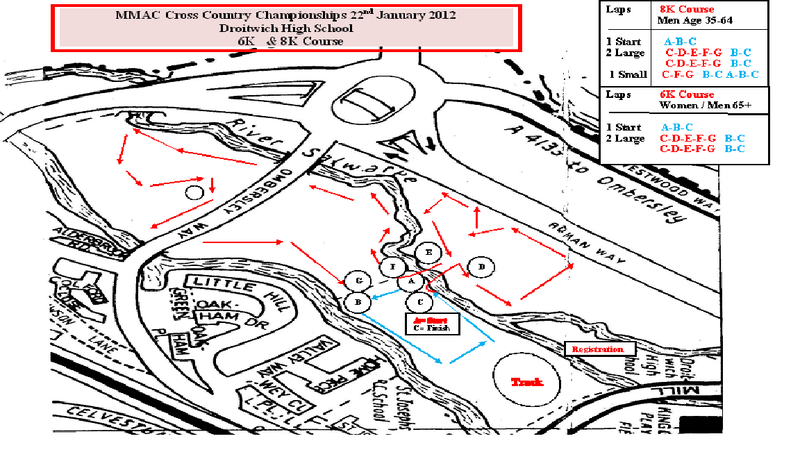 Our Cross Country Championships will be held for the third year running at Droitwich on the Sunday, 22nd January 2012 from Droitwich Spa High School, Briar Mill, Droitwich Spa WR9 0AA. Start time is 11.30 am. 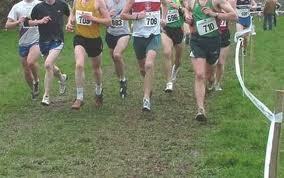 Entry Fees are £5.00 per entrant with NO entries on the day. Closing date for entries is Monday, 16th January 2012. Please note that these are the age groups introduced last year and we have added a W55+ category. If an individual wants to down age for team purposes then this must be indicated on the entry form in the appropriate place. Is there any matting or wood shavings over the river bridge this year? I have difficulty running on my heels with my toes stuck up in the air. Alex, My guess is that it will be the same as last year, no mat. 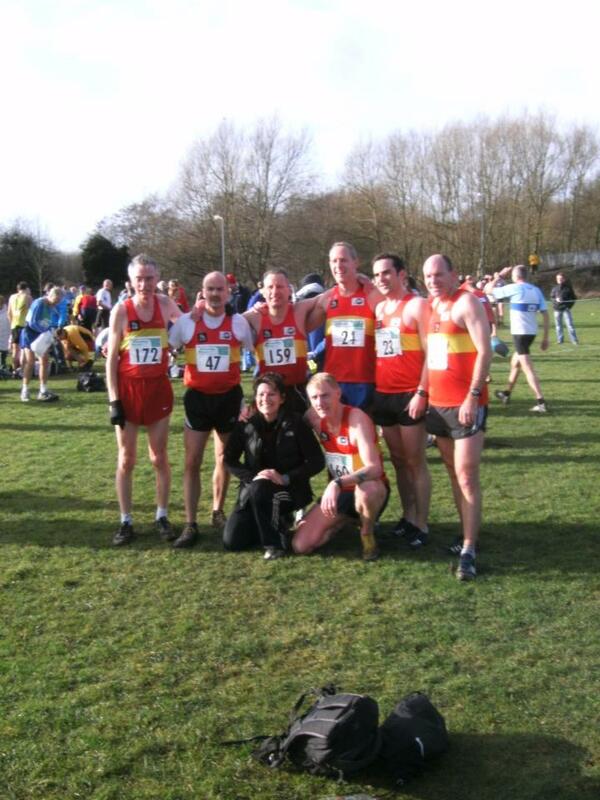 Droitwich AC put this event on for us and the course is left entirely to them. I do know that this course was used for the recent Worcester County CC Championships, as far as I’m aware with no difficulties. Not a satisfactory answer I know but the best I can do. I shall be marshaling at that point so please don’t shout at me!!! Have a good run and I’ll see you there. What time does each race start please?